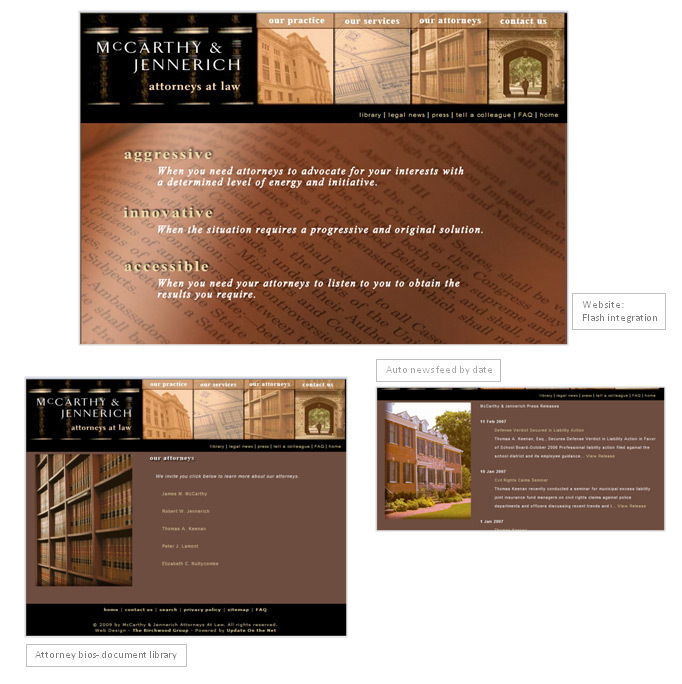 Description: Mc Carthy and Jennerich is a law firm located in Rutherford, NJ. They handle litigation & corporate practice with expertise in the areas of corporate law, municipal law and litigation. In additon they have a thriving condominium practice ... specializing in community association law. Our attorneys have been general and special counsel to community associations for over fifteen years. Website design and creation to include - Flash integration, Customized menu design, contact forms, services description, latest news, information library, personnel bios, multi-level access to website, secure login.